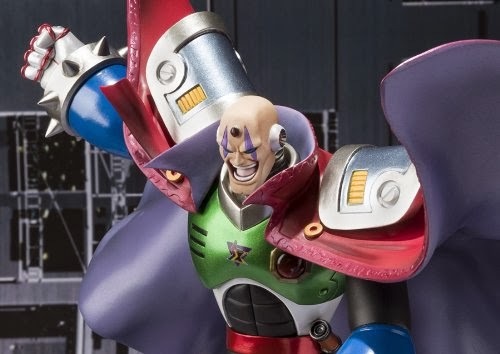 If you pre-ordered Bandai's Figuarts ZERO Sigma from Amazon, you might want to keep an eye out for the mail man. According to Destructoid's Chris Carter, Amazon has started letting customers know that the statue is shipping out. With any luck, you might have him in the next few days! Of note, Amazon's page is still asking for pre-orders. But don't worry; if you place an order now, there's a strong possibility it will ship relatively quickly. I'm not an Amazon buyer this time around, but I'll keep an ear out for updates. Christ Carter. The second coming! Does anybody know if he comes with a sword for his right fist (our left)? Otherwise, it just looks kinda odd that he has his hand out like that, as if he's holding something yet he isn't. Nope, no accessories; his beam saber hilt is on his belt, but does not seem to be removable. There is also not a spot in either hand to receive such a thing. This is definitely just a statue. Some suspected that the cape might come off, but it is also permanently affixed. Sean A.M. wrote: "This is definitely just a statue." Is there any exception to that in Bandai's Figuarts line? Not that I know about; I knew what I was purchasing, and was merely answering a question. It's somewhat interesting, the changes they made in the final version verses the SDCC prototype.